Concerned about the safety of their patients, Baptist Memorial Hospital of Memphis, TN was considering a multi-million dollar, five-year renovation to remove bathtubs from patient rooms and replace them with showers. 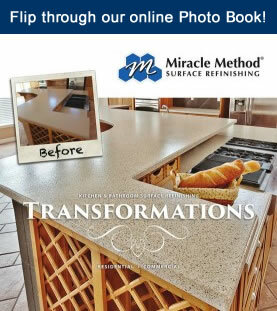 Miracle Method, the nation’s premier surface refinishing company, offered a more affordable and much faster solution; the Easy Step™ tub to shower conversion. By creating a 24” wide x 9” tall opening in existing bathtubs, the Easy Step conversion allows patients to step safely through the side of the tub instead of having to step over the side. Using Miracle Method’s innovative Easy Step™ tub to shower conversion, Baptist Memorial saved millions by avoiding costly demolition and replacement of the bathtubs and reduced the project timeline by two years. Easy Step™ is part of a bathroom safety package offered by Miracle Method to commercial and residential customers. Along with the Easy Step™, the company installs the highest quality safety grab bars, curved shower rods, hand-held shower nozzles and slip resistant surfaces for tub and shower bottoms. Whether it’s for a hospital, nursing home or a homeowner, Miracle Method has a bathroom safety solution. For more information about Easy Step and other bathroom safety products, visit our Easy Step page online or call 855-212-7337 to reach the nearest Miracle Method location.